Looking at the online business and the e-commerce industry, we have come a long way since Amazon had sold its very first book on the Internet which was in 1995. Ever since then, the e-commerce industry has grown huge where most of the people now prefer to purchase things & services online rather than from the traditional shops or agencies. Freelancing and online consulting services like Upwork and Fiverr. 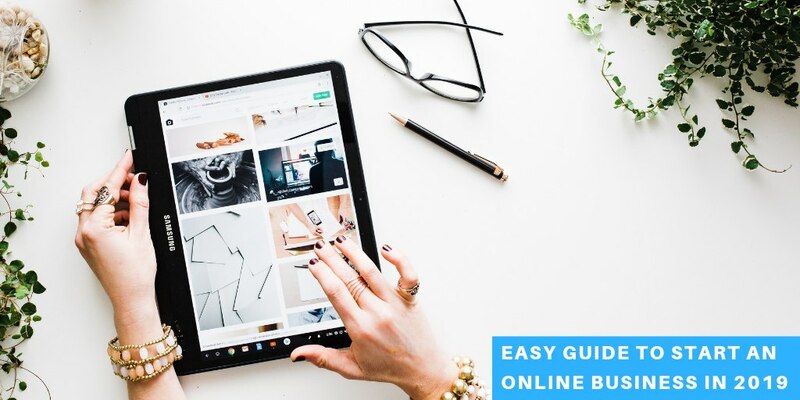 Using a marketplace: There are many choices to choose from if you want to start an online business using a third party site, such as Amazon, Etsy, eBay, and also Fiverr or Airbnb, based on what you want to sell in the market. Creating a business on these places are simpler since you would not have to make so many decisions. Analyze the pros and cons of choosing a third party site: It would not seem so professional as you use another company’s site to sell your services or products. On the other hand, customers would find it easier to compare your products with others and choose wisely. Decide what is important for you and choose accordingly. Pick the Right Platform: Even though it is a very obvious point, it is important that you select the platform that related to what you are selling and works for the audience who would purchase it. Pay Attention on the thing that makes you stand out: You would have to make sure that what you are putting up for advertising your services or product makes you stand out of the crowd. Concentrate on the user-experience: The biggest thing that you need to take care of is ensuring that your website offers the best user-experience. In short, you need to choose the right design, and make sure the shopping cart suits you business. Explore your options in this case to use the best one. Decide if you need to build your website from scratch or not: It is not important for you to build the website from the beginning. You can use templates from Shopify and Squarespace to simply the process. In fact, you do not have to be a professional in HTML or coding for this. Create a Lean Business Plan: Instead of working always on the longer goals, first work on the smaller one. It would help you in \in distilling our plans to reach the end stage. Determine if your ideas would have a place in the market: It is important to see if your product is needed in the market. You would not succeed if no one wants your product. Give thought to the metrics & funding: Make a strategy for the sales to track so that you know if you are going in the right direction. Keep checking the metrics and editing it to ensure that you are growing. Also, note all the expenses you would need for each stage in your business and from where you plan to get the funds. Choose a Business name: Select a name that no one is using and ensure that the domain name is available for you as well. Ensure that both the business name and the domain name are the same as well since it would be used as your brand name in the market eventually. Set Up Your Website: Purchase the domain, set up the hosting system, and begin to build your website. If you are not a professional in this, it is better to hire some help to have it prepared for you. After this has been done, you would also have to take help in marketing your website. Make it mobile-friendly: When you choose the template for your website, ensure that it mobile friendly since many people tend to use their mobiles to surf websites these days. Focus on Image Quality: With the world evolving and thing becoming better, people love to see high-quality images. For this too, you can hire a freelance designer so that you do not stay back in this step. Consider Blogging: Even though content marketing isn’t a part of your main marketing plan, it is a great idea to start a blog on your website. You would not need to spend much on the customization and content, and it would help you gain more traffic. Think about affiliate partnerships: Monetize your website with the help of on-site ads and affiliate partnership. It would help you gain more clients faster. Don’t Forget About the Site After setting it: As soon as your website has been launched, do not leave it like that. Keep working on small things that can help you increase the sales. Also, keep tracking the website to see the monthly insights. Read all about the online business regulations: When you start an online business, it is not the same as the traditional brick companies. In the same way, the rules too have some differences. Hence, it is better to understand all about the various business laws for an online business. The best way to be well informed is by hiring a local agency or lawyer to help you out. Register Your Business: Select your business structure to register and incorporate your company with the government. The best business entity is an LLC due to the various tax benefits that it offers along with the liability protection. You can hire a professional agency like Inc Paradise to help you with the registration process. Study all about the tax obligations: You would need to be ahead of all the tax liabilities. And for that, it is important to learn all about the various tax obligations. You can take the help from a professional accountant or lawyer to ensure that you do not miss any important part in it. Also, remember that you have three different levels of tax obligations – local, state and federal. Ensure that all are followed to avoid any heavy penalties in the future. In the end, for you to start an online business, you would need to follow these steps which are different from the steps in starting a traditional business. You success in this idea depends entirely on how your business plan, your website and the marketing. Once you are ready with your idea, you can begin to work on it. And for help in registering and incorporating your business, contact IncParadise!